Personal scan. "Paper Created the Universe" ..... uh, right, whatever you want to think. Anyways, a cute RoD the TV scan from Animage 06/04. Nice scan!!! wish someone can turn this into a wallpaper... Thanks Tama-Neko!!! 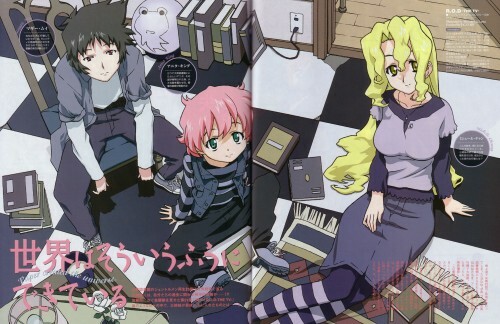 This is a really nice scan of the Paper sisters! I love it!